Dr. Bud Shaw spent much of his career as a pioneer in the field of liver transplantation. 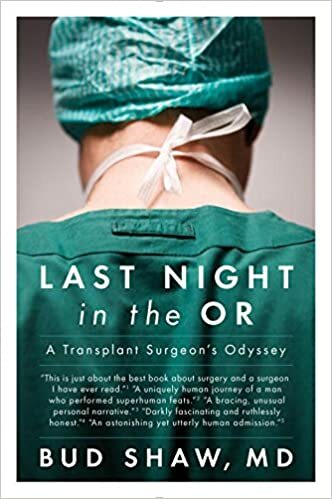 From his early days working with Dr. Tom Starzl, to starting his own clinic in Omaha, Nebraska, and now as a writer of the terrific memoir, “Last Night in the OR: A Transplant Surgeon’s Odyssey,” Dr. Shaw as accomplished so much it was hard to get our arms around it in one podcast. But we tried. “Last Night in the OR” is a candid, intense, emotional, and funny book. Dr. Shaw has a rare gift for storytelling, making the complex seem simple through revealing the emotions at the heart of the medicine. It was a great honor to sit down and talk about his view of writing, surgery, and memory.